← What effect do civil unions have on marriage? Canon law also has a provision prohibiting anyone who is unrepentant from manifest grave sin, regardless of whether the sin is actual mortal sin or merely an objective mortal sin, should not be offered Holy Communion. 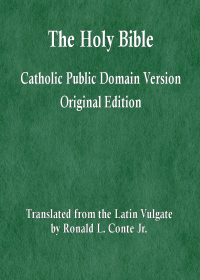 Now that we have reviewed some of the provisions of the moral law and of Canon law concerning which persons are prohibited from receiving Holy Communion, let’s consider a brief partial list of those Catholics who often receive Communion contrary to the teachings and rules of the Church, because they are either unrepentant from grave sin, or are guilty of heresy, or both. 13. anyone who rejects, in principle or in practice, the teaching authority of the Magisterium over the faithful, or the ability of the Magisterium to teach the truths of faith and morals infallibly. 14. teachers of any heresy. 15. persons who adhere to a heresy knowing it is contrary to dogma. 16. politicians and voters who directly vote to authorize or legalize or broaden the legalization of direct abortion. 17. schismatics, including anyone who rejects the authority of Pope Francis over doctrine and discipline, and anyone who rejects the authority of the body of Bishops over the same. 18. persons who are obstinately persevering in manifest grave sin. 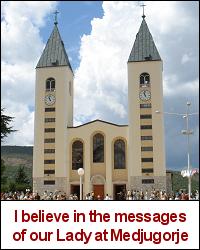 19. anyone who encourages the faithful to hate, distrust, ridicule, disbelieve or disobey the Pope or the body of Bishops by speaking about the Pope and/or the Bishops with contempt, derision, malice, hatred, or denigration. 20. anyone who believes or teaches the heresy of Feeneyism, that only baptized Christians can be saved. The above is only a partial list (updated 2/7/19). But is it clear that most Catholics who receive Communion do so contrary to either/both the eternal moral law or Canon law. In addition, many Catholic theologians and many Catholic bloggers also should not be receiving Communion, for multiple reasons listed above. The foundation of the great apostasy has been laid. More Reading: See my books on ethics and my books about the future here.